Pete Comiskey receiving his award after winning his 20th ACA Open Rider Title at the Nebo National Finals 2014. 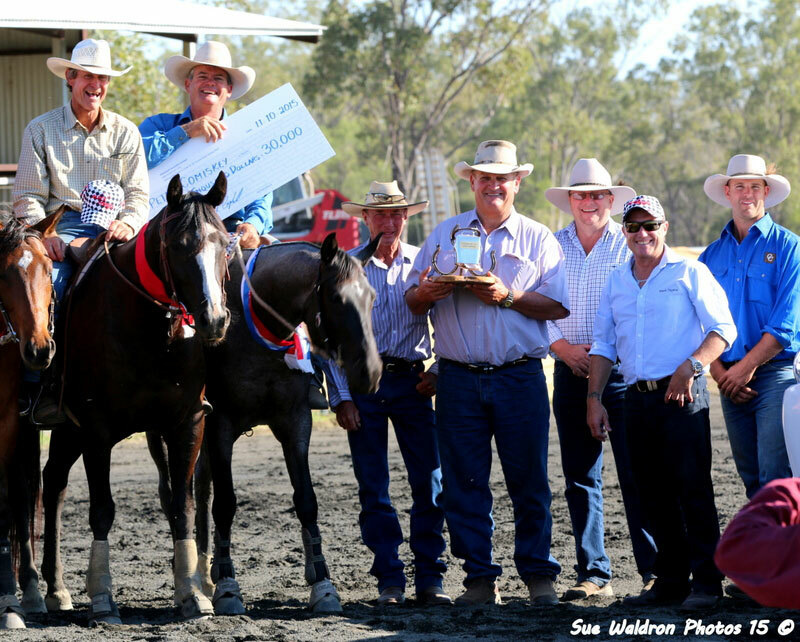 As Australia’s premier Campdraft competitor, Pete Comiskey continues to reach new highs within his industry. Changes to technology, travel, prize money, and horses have seen the industry develop and expand. 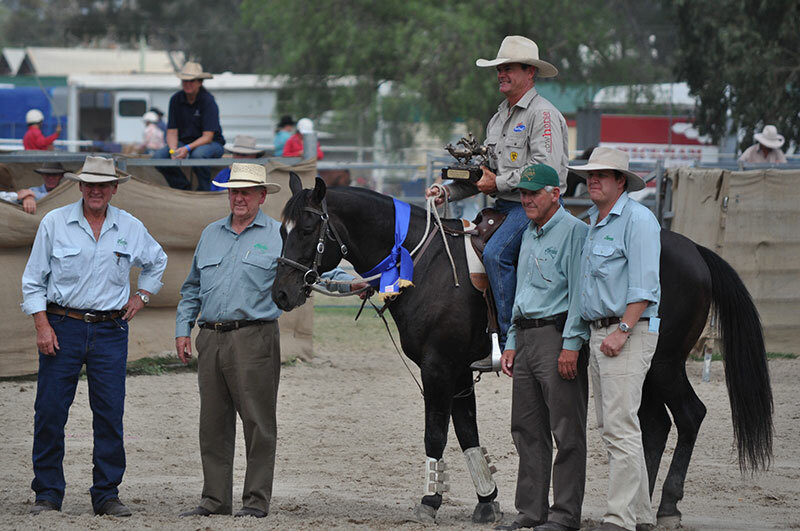 With a large percentage of competitors being weekend participants and a further big percentage being full time professional horse trainers, the industry now envelops a totally diverse spectrum of people. These changes have enabled Pete to develop his own profile and the profile of the sport to new levels. It is these changes that excite Pete Comiskey. Pete riding Lu Diamond Phillips. Pete was born in Rockhampton and spent his childhood in the idyllic settings of the Comiskey family property, “Lyra Park”, Capella. Family life was important to Pete and he has always enjoyed the unquestionable love and support of his parents and family. School at Lyra Park consisted of 7 years of correspondence and then 3 years of boarding school at St Brendan’s College in Rockhampton. 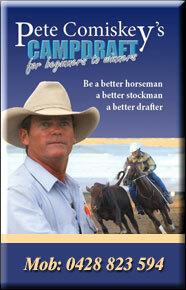 It was then home to Dad to start on a career solely based around horses, cattle and his love of campdrafting. 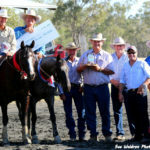 In his teens he took several jobs contract mustering and general station work which were invaluable in expanding his knowledge base, but his love of campdrafting always brought him home and back to the circuit. He has drafted consistently since the age of 8, where he had a first start win at Foxleigh in the Junior on Silver. He soon stepped up the competition level and won the A.C.A. Juvenile Title in 1985, 86 & 87. His first Open Rider Title came in 1991 and then in 1995 his extraordinary run of continual Open Rider Titles started. The only year missing is 2000 when he was out with a broken leg and the Title went to Ben Hall. Pete giving instruction at his clinic. In 2015 Pete won his 21st A.C.A. Open Rider Title at the National Finals in Nebo. In 1991 to win his first Open Rider title, Pete campaigned 5 horses and went to about 15 drafts. For his 2012 Open Rider title he travelled 12 horses and attended 25 venues. Times are definitely changing as many of these venues are now week long competitions. Competition and good people drive Pete to continue in the sport of Camprafting. He loves competing and never tires of the continual slog of the travel. He also enjoys the great people involved in the industry and gets great satisfaction from being involved both socially and from the business that has evolved around him. Pete’s involvement in the sport has now become an industry. He has commitments with several businesses including Prydes and Ariat. 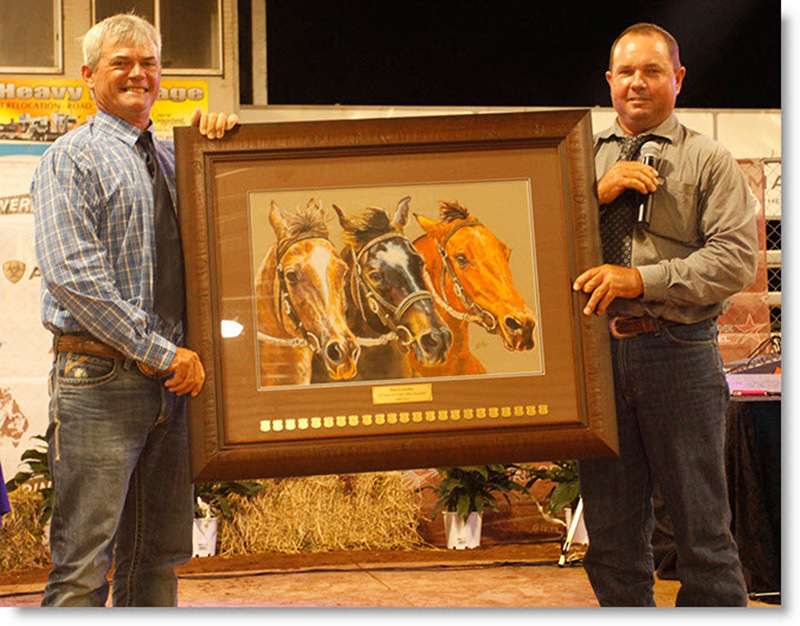 He runs Campdraft schools on a regular basis; he markets promotional videos and DVD’s as well as promoting horses and products for various people. His life is very busy and that’s the way he likes it. He gets great satisfaction from dealing with people and from helping people and enjoys promoting products that he believes in. He is also proud of his “Pete Comiskey Drafter” saddles. 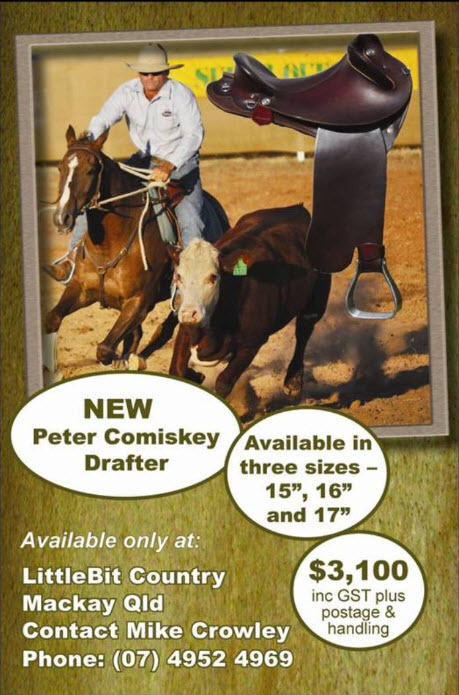 For over 20 years Pete has been involved with helping with the design and along with Mike Crowley, they are now offering what Pete believes is a really great saddle for campdrafting and station use. These saddles are marketed through Little Bit Country and are made locally from imported trees. 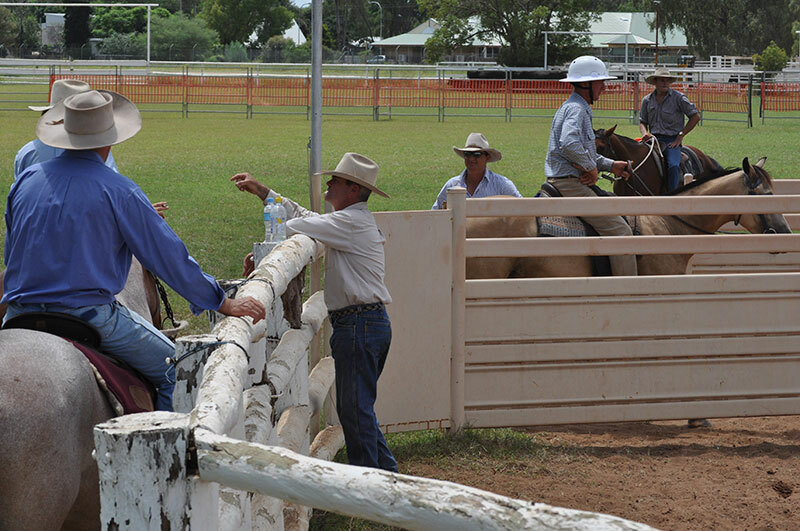 The need for Campdraft schools has expanded along with the sport. All participants wish to be competitive and as the sport progresses there is an increasing demand for schools and clinics so people can have access to the knowledge and experiences of the elite competitors. Pete believes that the sport must cater for everyone and that everyone must have the chance to develop their skill level. Pete Comiskey sees this as his way of giving back to the sport that has been so good to him. He makes himself available to do 2 day Campdraft Clinics whenever he can. These are either mid week or weekend events. He is proud of the results his schools achieve and happily admits that his students are regularly in the very same lineups that he frequents. Pete’s first school was run in 2000 and he now tries to fit 20 schools per year into his busy schedule. This does not include the 1 to 2 charity schools/year to which he donates his time. Pete conducts a school annually at Springsure for mixed charities and in 2012 he assisted with the Emily Tapp Charity school. Starts with 3 hours of dry work. 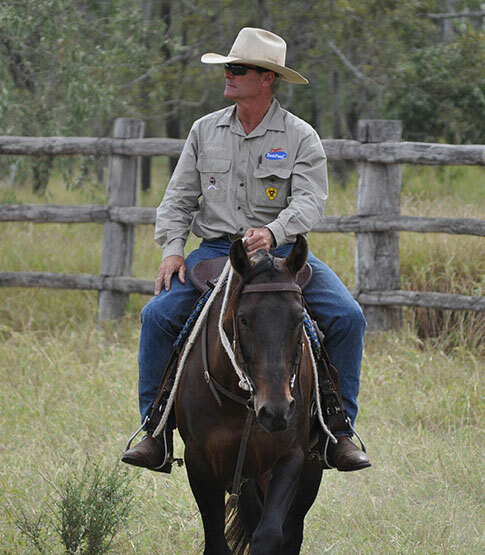 This time is devoted to basic horsemanship, safety issues and the basics of a Cut out. He deals with the technique required for cut outs, the aids for your horse and how to pick a beast. It is then on to a single run/person before lunch. Afternoon Day 1 starts with “chasing the other participants”. Pete emphasises this is hugely important in teaching how to rate cattle and navigate the course. The day finishes with 2 runs/person. Starts with an hour of dry work devoted to horse shape and safety. Then a run before smoko and another run before lunch. Lunch Day 2 sees an indepth information session where Pete deals with bits and spurs, saddles, horse care, how to feed your horse effectively and an overview of the A.C.A. rules. Fence-sitters are also invited to this session, which is followed by time devoted to questions and answers. After lunch a final run/person brings the school to a close. Fence sitters are always welcome at Pete’s schools. For a fee they are able to watch all proceedings without actually taking part and then they are invited to participate in the Sunday lunch information session and the question and answer forum. Pete happily admits to learning a lot from travelling with Charlie Flohr as a youngster. He also admires how Bruce McNaughton approaches the sport and his horses and admits you can always learn something from watching Mark Buttsworth’s horses in the yard. Compilation of Snippets from Pete’s Campdraft Schools. Click on the icon in the top left hand corner to view the entire playlist. Includes videos listed below.